Do you have an old television sitting around your home? How about a fan, a refrigerator or microwave? You are probably wondering what you will with these items because they are taking unnecessary space. You can always recycle them. Recycling electronics can make a huge difference. Just recycling one device can save the world from the problem of e-waste. If electronic devices are disposed of like normal garbage, it may have harmful effects on the environment as well as human health. South Bend Junk Removal can help you recycle the electronics you no longer use. The idea of recycling unusable electronic devices came by due to the worsening problem of electronic wastes. You can't deny that recent technology now dominates most people's lives. Almost everything is run electronically. An average home has at least 2 electronic devices, be it a fan, television, refrigerator or other appliances that make the home 'livable.' Unless these devices are recycled or reused, millions of e-waste go to the landfills once they have broken down. Recycling helps minimize e-wastes which in turn helps to save the environment. The process of electronics recycling South Bend IN is more complicated than plastics or common waste recycling. During e-waste recycling, the unwanted electronics are collected, sorted and dismantled them. Then, reusable parts are identified for use in other appliances. For instance, if you have a computer that doesn't work, its good parts can be used as a replacement on other machines. Isolating the parts of electronic wastes on your own is not encouraged since some parts need special handling, to prevent potential accidents such as poisoning. By hiring our local electronics recycling services, you are guaranteed that we will make good use of your non-functional electronics. We are a reputable company who strictly abides by the local environmental rules and regulations. We can recycle any electronic device, and for the parts that can't be recycled, we ensure that they are disposed of in an environment-friendly manner. You just need to surrender your old or broken appliances to us and we will do the rest. Many people feel that it's okay to throw their electronics into the trash. However, what they don't think about is that there may be harmful materials in the machine. Electronic devices are one of the primary sources of mercury found in household wastes. 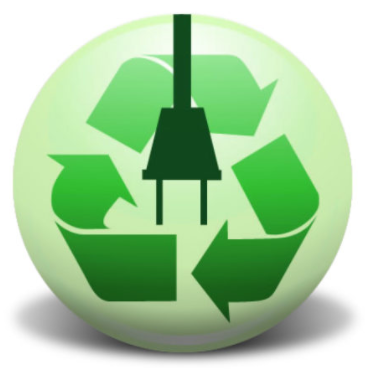 Even though mercury is used in many electronics, improper disposal can damage the environment. Avoid dumping your unwanted electronics with your ordinary wastes. The job of reducing e-waste and preserving the environment can be accomplished by hiring South Bend Junk Removal. With our range of advanced recycling services, we can help improve the quality of life as well as save our natural resources. If you are looking for TV recycling, then call South Bend Junk Removal. We provide electronic waste pick up and recycling at affordable costs.